Having been on the road for three years now, I no longer think of Mexico in terms of just beautiful beaches, five star resorts and tequila. 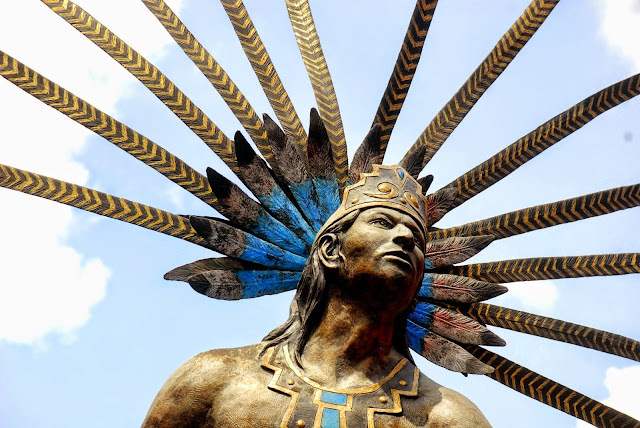 The Mexico I know is colonial cities and pueblos mágicos that blend tradition with stunning architecture along with a remarkable food profile. One minute you’re sipping a smoky Mezcal that’s just been opened for the first time in five years and the next moment you’re in awe watching Cemitas being made in a market stall in Puebla. Great food experiences, developing good taste, refining your palate…call it what you like. 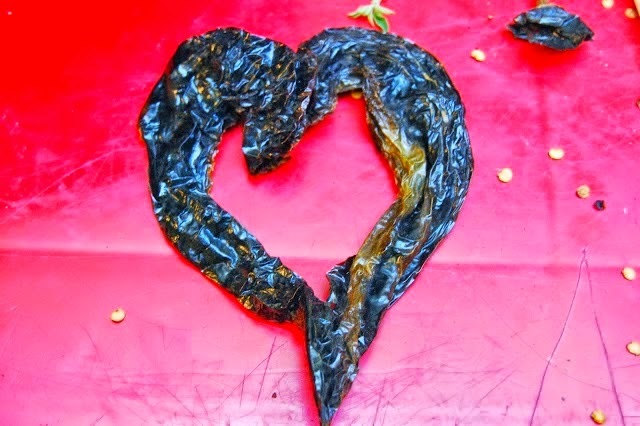 It all goes into understanding just what makes Mexican food taste so darn good. Quite frankly, I thought I would be sick of Mexican food by now but the chefs here keep reinventing it and with every new experience comes a different taste. 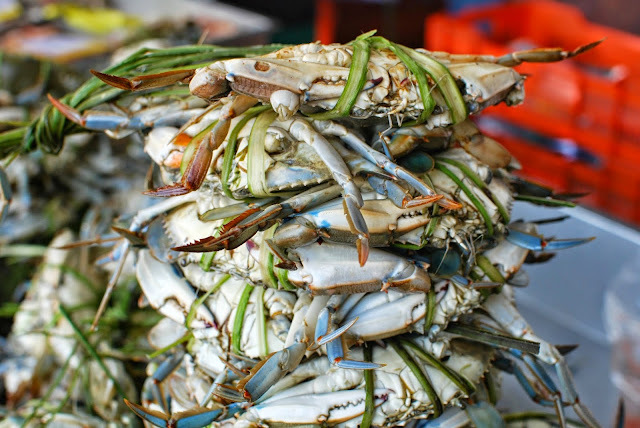 We love the authentic food experiences we’ve had in these seven cities because one new food adventure always led to another. That’s the beauty of eating where the old world meets the new. 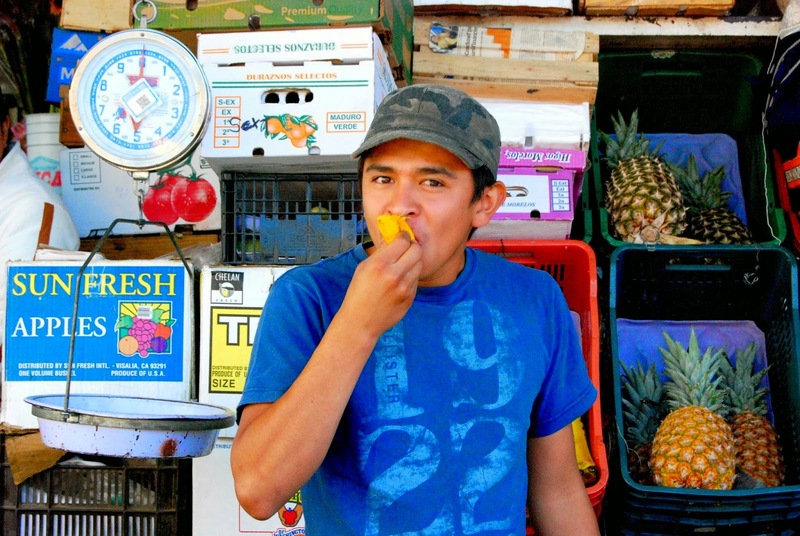 To explore the culinary landscape of inland Mexico today is as complex as it is excitingly. When you go, you’ll want to dig deep to find all of your favorites. We’re giving you a head start by telling you some of ours. Mexico City, is packed with remarkable, high-end restaurants, food trucks and is known for its incredible street food. In fact, there’s so much good food in Mexico City, the Wall Street Journal called it a contender for the world’s greatest food city. There is no place in Mexico we love eating more than Mexico City. Like Chicago, it’s our kind of town. Am I high-quality bread deprived? 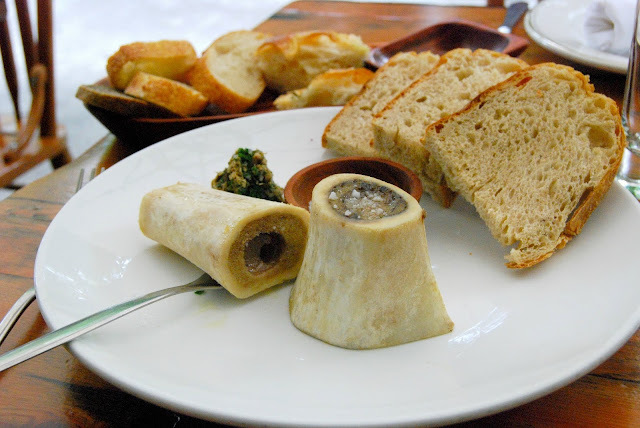 There are many great things to eat in Mexico City but the bread was most inspiring the last time we were there. 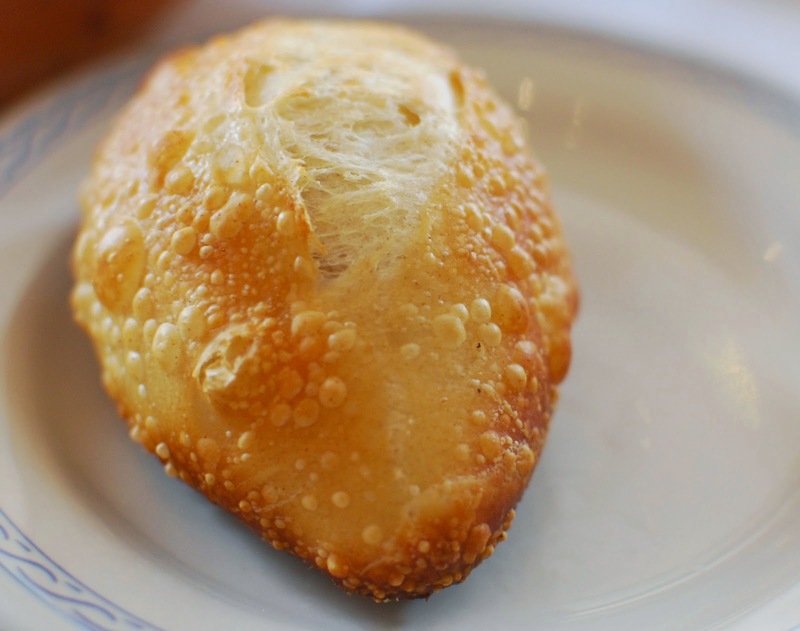 I had no clue after years of eating bolillos that they were suppose to taste like they do at El Cardenal. I ate the entire basket they were that good…and asked for a second. The waiter didn’t blink an eye so apparently a lot of people do the same thing. 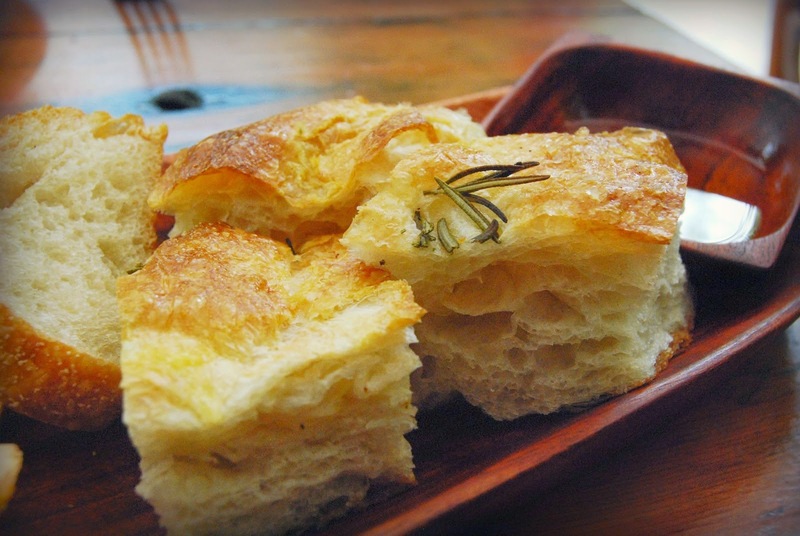 Panadería Rosetta is in a class by itself when it comes to making lighter-than-air artisan breads. Meals here are a spiritual experience; the kind that you can still taste and dream about long after you've eaten them. Go when they open to get one of the coveted, outdoor tables. A short trek down the hill in San Angel, Restaurante El Cardenal, Av. de la Paz Núm. 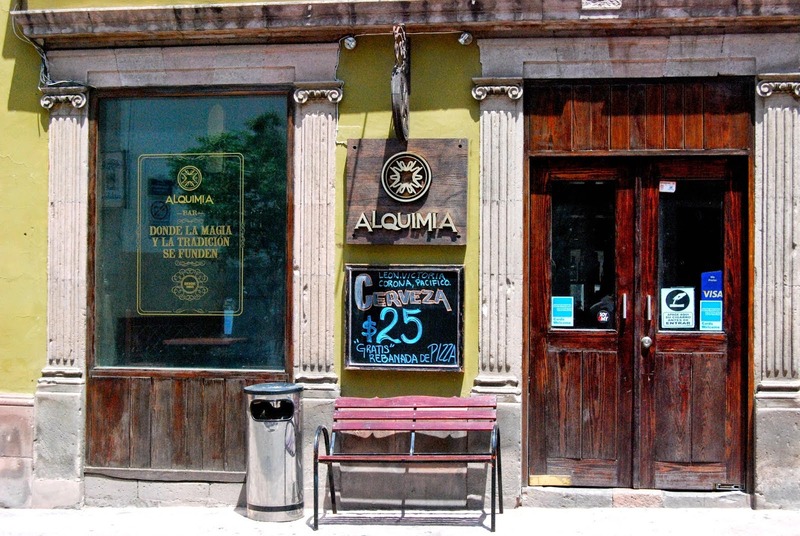 32, Colonia San Ángel, was perhaps the best combination on food, service and atmosphere that we’ve had in Mexico. Try the Mixiotes. At Tonalá 133 in Colonia Roma, Chef Eduardo Garciá never studied gastronomy but developed his skills in the kitchens of Mexico City’s famous Pujol and Le Bernardin in New York. Need I say more? 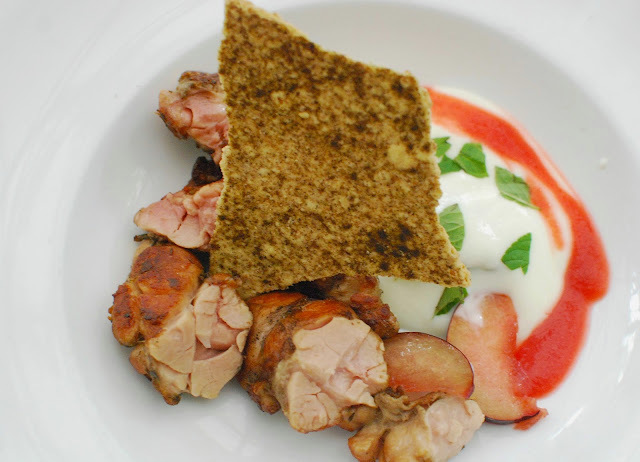 Sweetbreads to die for. Inside Mercado San Juan at Delicatessen La Jersey. A complimentary glass of wine, the Amigos over-stuffed sandwich with Serrano ham, Salami, Cocido, Lomo Canadiense, Manchego National, Cabra and Parmesano topped with Salsa Artisanal Botanera and a free Postre made with Mascarpone, strawberries, honey and chocolate was just 65 pesos. When was the last time I had a fantastic lunch for $4.25? 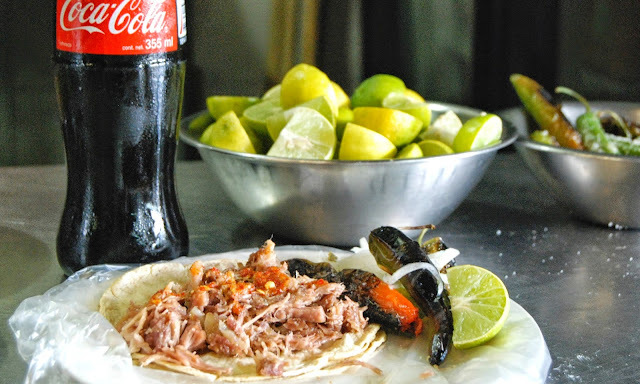 It's now on my growing list of cheap eats in Mexico City. 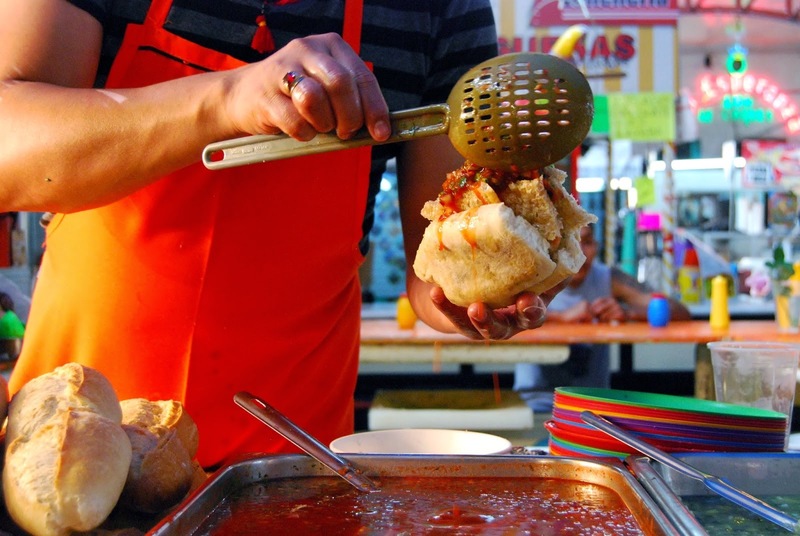 Food Writer Nicholas Gilman knows Mexico City better than just about any food lover out there. 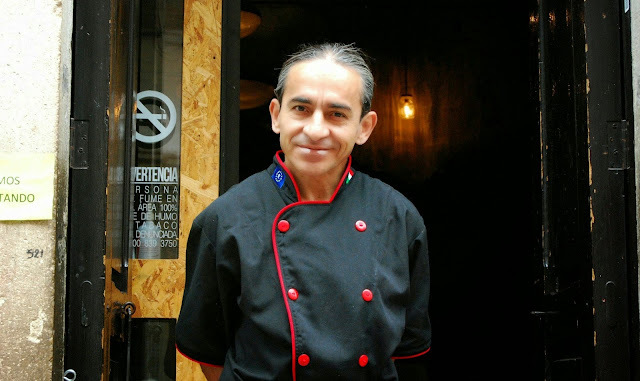 Read his book, Good Food in Mexico City: A Guide to Food Stalls, Fondas and Fine Dining, like it was the bible before you visit. 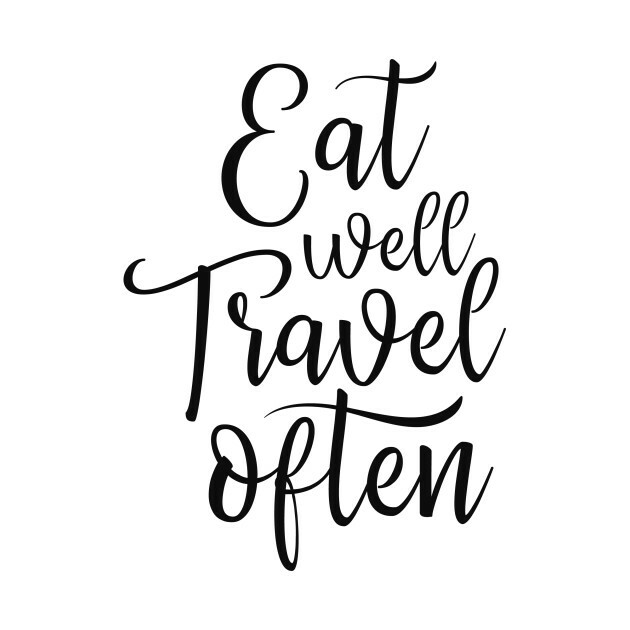 You’ll know exactly where to go for the best of everything when you arrive. 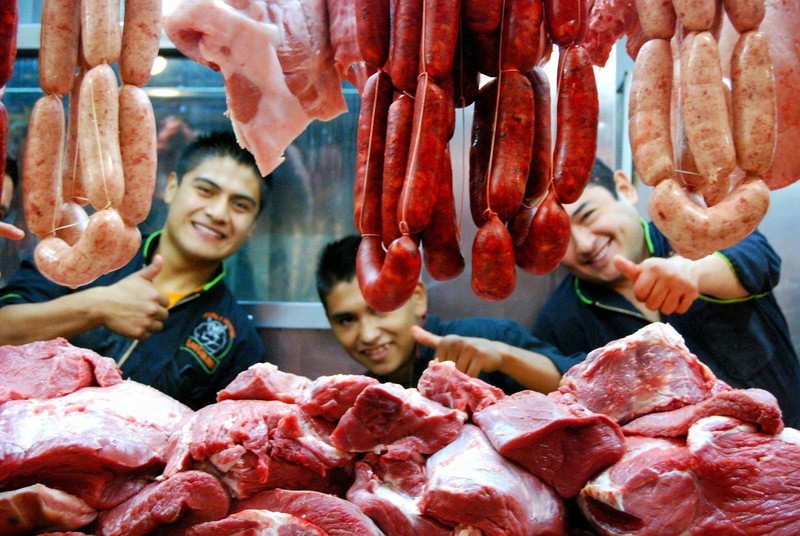 Central de Abastos is Mexico City’s main wholesale market for produce and other foodstuffs. La Nueva Viga is the largest seafood market in Mexico and the second largest in the world. Get there early because a lot of the freshest stuff is gone by mid-day. Mercado de San Juan is the destination for Mexico City’s chefs and you'll find plenty of them wandering this market for some of the best food in DF. You'll be tempted to spend all of your mad money in one place. The Bajio region is set across Mexico’s central highlands and includes the cities of San Miguel de Allende, Queretaro and Guanajuato. Up until recently, culinary experts had nothing good to say about the food. Then along came significant numbers of expatriates, entrepreneurs and foreigners relocating to the area and suddenly you can savor anything from Mexican to International and gourmet classics. One thing is for sure; the culinary scene in the Bajio is as diverse and vibrant as the region itself. 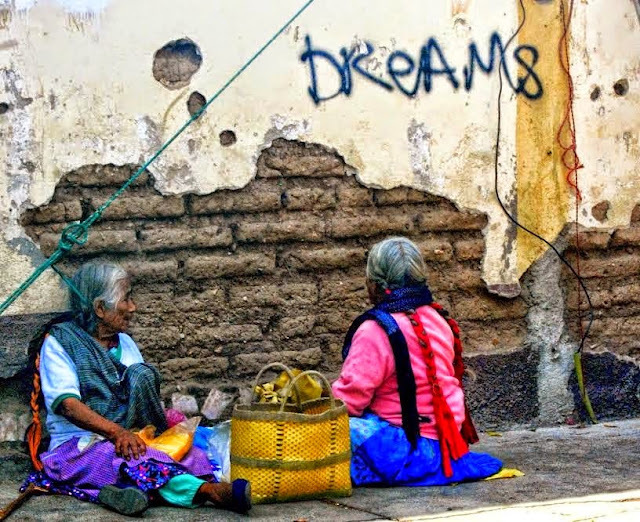 After a recent trip to Queretaro, I call the city Bajio’s rising star. It’s not only the fastest growing economy in Mexico, but the food is both exciting and unique…and it’s less than an hour from my front door in San Miguel. 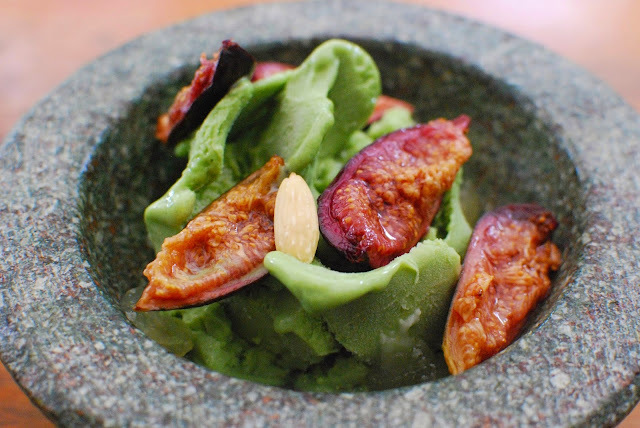 At Especiero, Chef Emiliano Ayala is not afraid to mess with a classic. 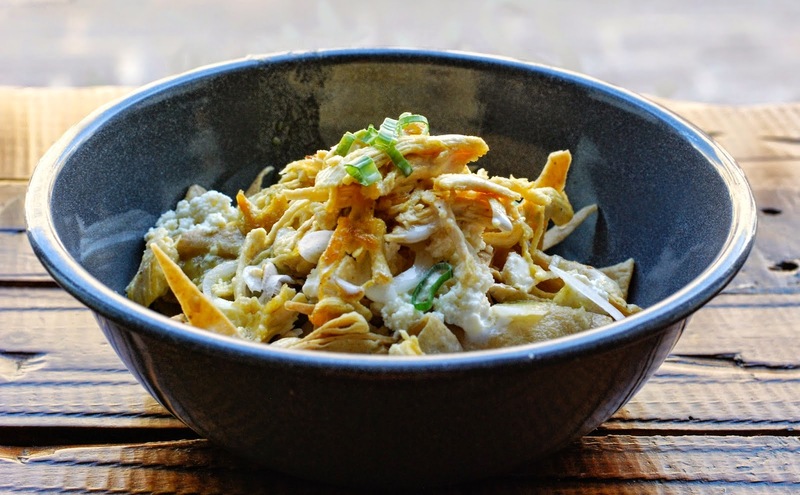 These Chilaquiles are made with strips of fried corn tortillas and served up with cheese, poached eggs and a pile of chicken. Salsa verde is poured over the dish at the table so it never turns soggy before you hit the bottom of the bowl. It is the perfect cure for a wild night that didn’t end until Especiero unlocked the doors. Food lesson No. 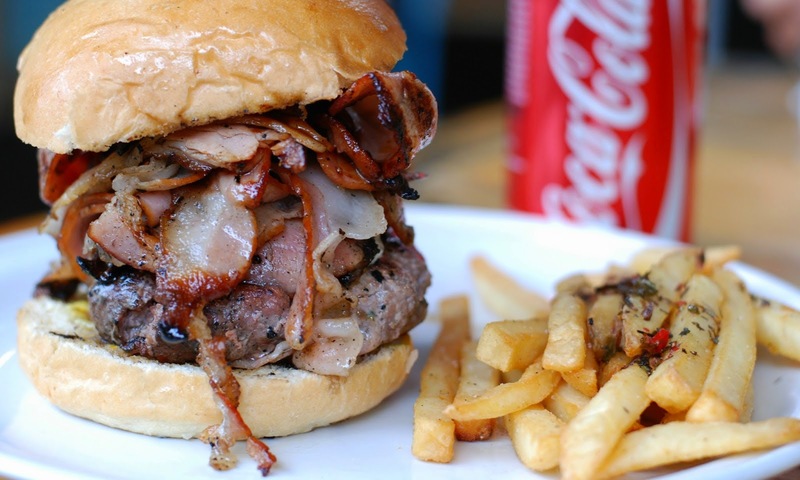 1: When it comes to hamburgers, calories don’t count. And at Cardosanto, these people know how to accessorize grilled meat; super-sized by adding a mountain of bacon. The accompanying fries are treated to a peppering of thyme and Parmesan. You’ll leave satisfied; that is, if you can get out of your chair. 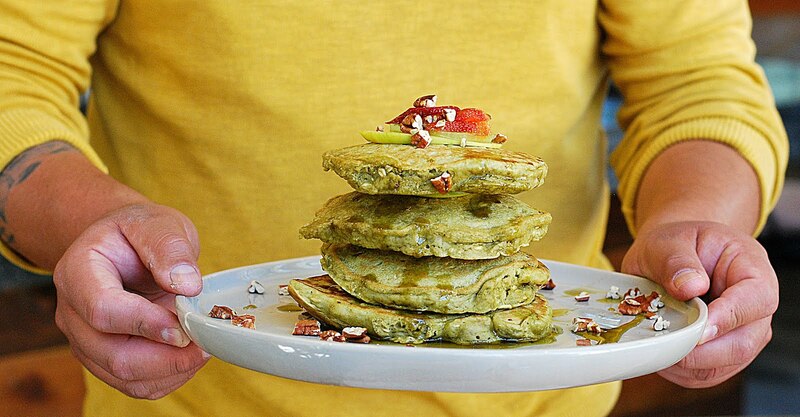 Blending old traditions with new techniques, people are singing the praises of this food establishment and I can see why. Every typical Mexican plate brings something different. 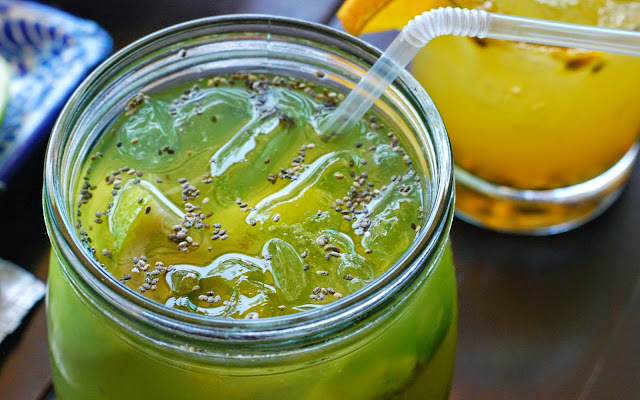 From eye-catching drinks like Lemonada with chia seeds and spearmint and the delicious Margarita Maracuy to meat platters grilled and served with a salsa of habanero and chile de árbol and a pile of requeson to cut the heat, just about everything at Cocono's will grab your attention including the service. Smother the best pork leg taco in Queretaro with onions, cilantro and pico de gallo and you’re in for a serious feast. 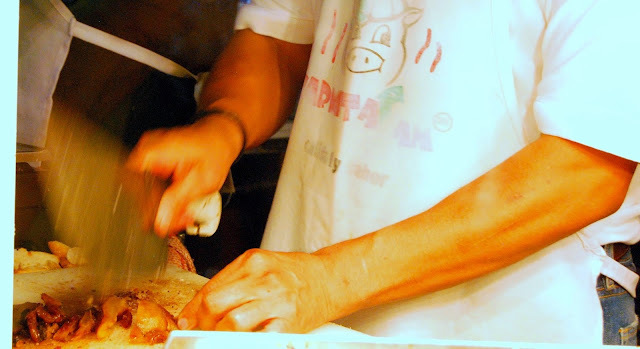 Go for the visuals; broad-shouldered men stirring a giant copper vat of pig parts with little paddles. 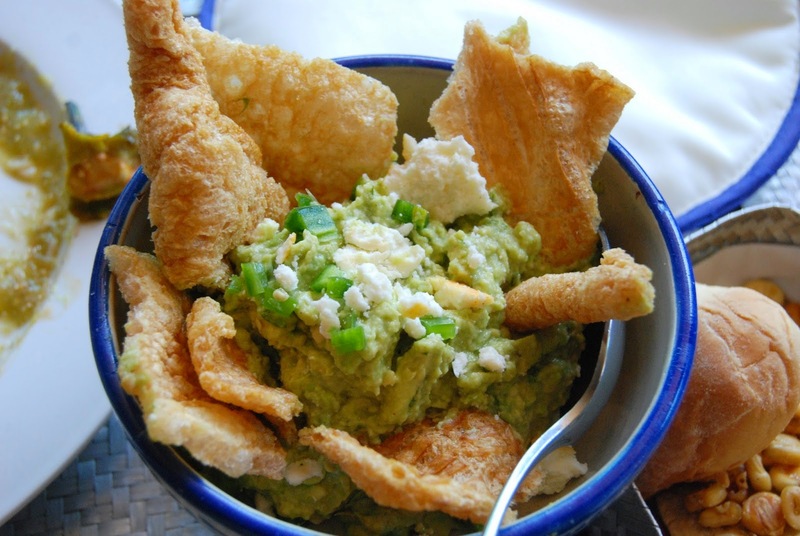 Pair with a Mexican Coca-Cola that will bring on a welcomed sugar rush. If you take it to go, you’ll fight the urge to break into the package on your way home; an indulgence you’ll probably not want to share. This torta de carnita, topped with a secret tomato sauce, has been served for more than 59 years and is Mexican comfort food taken to the next level. Also flavoring this mouthwatering sandwich? Plain old yellow mustard. I’m addicted to the combination. It’s similar to a Sloppy Joe, only with pork and a lot messier. 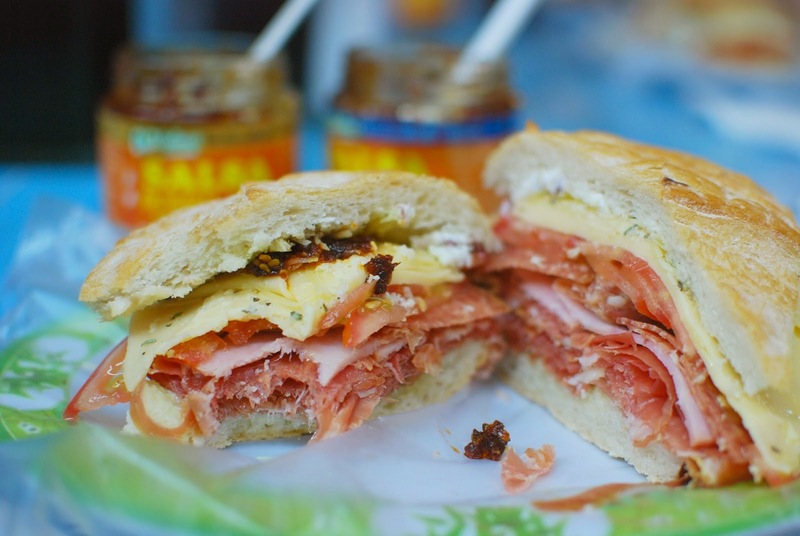 This is a symphony of flavors sandwich lovers will hear over and over in their heads. Bring a bib and a pocketful of small change. 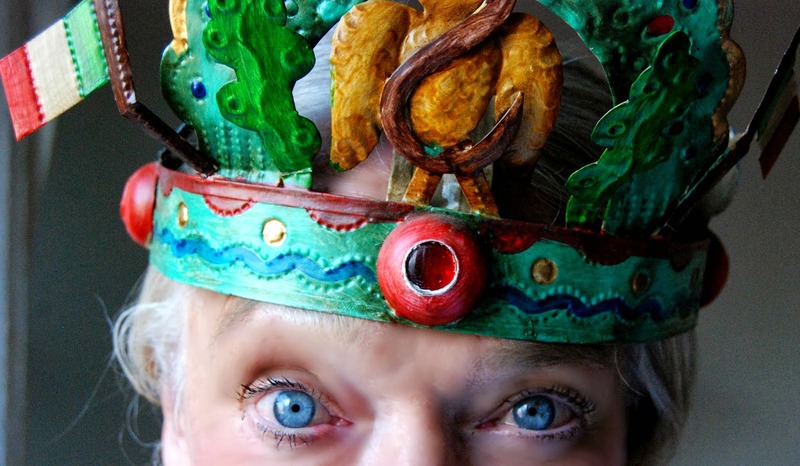 Walking around Mercado de la Cruz is a feast for the eyes… and nose. Many of the chefs and locals in town shop here for just-picked ingredients, meats and fresh dairy. It’s a photographer’s paradise…for a change; everyone here wants you to take their picture. Just one block from Plaza de Armas, this attractive, little cantina-style bar caught my eye and it was love at first sight. Get there early or you are likely to spend the night standing. Great place to meet locals. Open from 18:00 to 2:30 hrs; Closed on Sundays and Mondays. 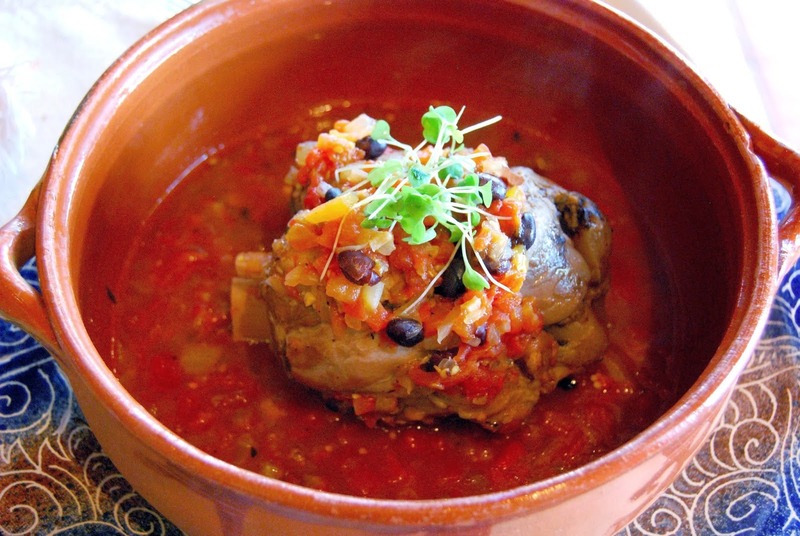 This family recipe of tender and juicy pork shank was cooked in its own juices and served in a broth with tomatoes and black beans. This is a.k.a. beyond delicious. 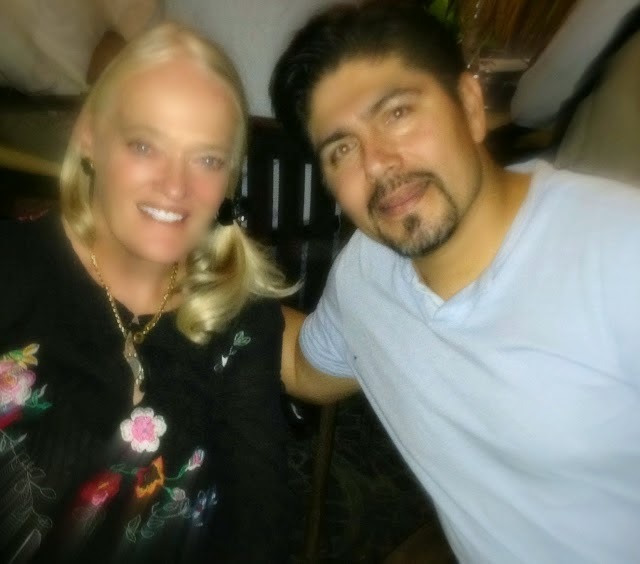 This restaurant was always jam-packed, mainly with Mexicans, which is a testament to the consistency and quality of their food. I ate there four times and all of them were great food experiences. I've been known to judge a restaurant by its Arrachera and this one was cooked to perfection. Slight char on the outside with a beautiful, pink center…just the way it's supposed to be. At Jardin Union 3. This wasn’t even a contest. 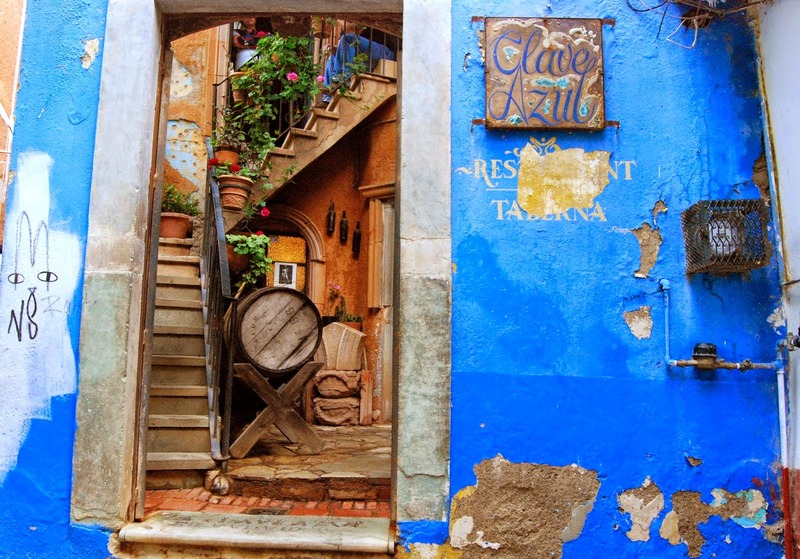 At Calle de Arribe 6, Las Mercedes is a beautiful restaurant up the hill in the San Javier residential district just 10 minutes from downtown. 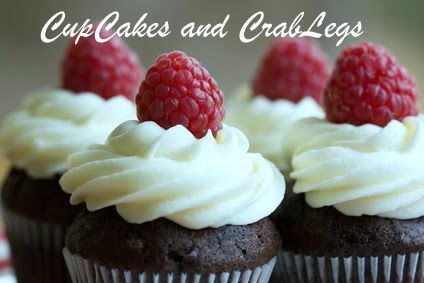 Authentic, small and known for personal service, all of the family’s recipes are classics. Make a reservation. Best time to go is when they open. Ok, I'll admit this sandwich was a lot easier to look at than it was to eat. This signature street food sandwich is made of pork skin, fresh avocado, and a super-spicy pico de gallo that is added to a special sauce made with chiles de arbol. It’s the most unhealthy sandwich on the planet... but it’s so good. Hidalgo Market looks like a turn of the last century train station. It’s full of wonderful aromas that will tempt you to stay all day. The left door leads into the Gavira Market where there are traditional eateries with all sorts of Mexican foods to eat. Plaza de Gavira, on the opposite entrance, functions as an open air market. I prefer the food stands inside Hidalgo Market. They are dependable and a much better buy. La Clave Azul Restaurante Taberna is a little, well-hidden, attraction located on Segunda De Cantaritos 31 up a tiny, hidden alleyway from Plaza San Fernando that you would never find on your own. This old, two story cantina that is more like a museum with its unusual artifacts including old chandeliers, cameras, posters and photos. You can grab a craft beer or get a taste of Mezcal, both of them made in Guanajuato. It’s all in the family and that’s the way they like it. After taking mole lessons with the abuela who can make it with her eyes closed (I was kidding but she did close them), I can honestly say it was time consuming but a lot easier than I had expected. 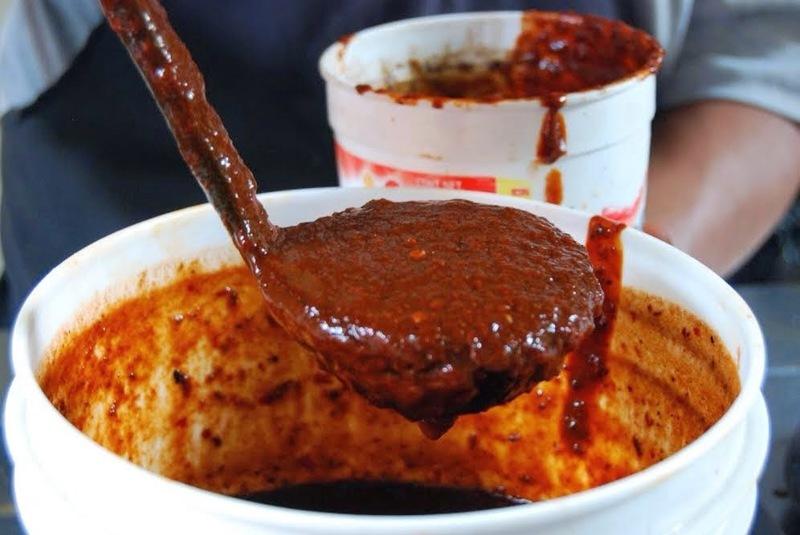 Beautifully complex with top notes of smoke and undertones of chilies, the depth of flavor had such an authenticity that even I was amazed at how few ingredients could go into a mole and still deliver that wonderful, rich taste. Working with chilies is a class or two or three in itself. The experience helped me get through a recent 6 hour session when making Andy’s Tacos al Pastor. Give into temptation. At Donnie Masterson's restaurant, known for its anything but predictable offerings, this exquisite dessert takes sweet indulgence to the next level. The custom made Ambrosia ice cream is swimming in caramel then laced with marshmallow and a sprinkling of cacahuates. Throw out the calorie book on this one. This confectionery masterpiece is almost too beautiful to eat. How does this popular restaurant make perfect poached eggs look like little balls of Oaxaca cheese? Chef Karla's drop-dead gorgeous presentation comes from her training as a graphic artist. She's armed with a portfolio of her mother's classic recipes including this picture-perfect version of the dish. The taste will astonish even the most die-hard Eggs Benedict lover who has never given a second look at this Mexican standard. The signature dish of this popular rooftop bar in Centro is a slice of Jicama filled with lightly breaded shrimp and topped with fried leeks, mayo with chipotle and a tamarind sauce. These tacos are so light you can easily polish off two or three. Go after 7PM to catch the beautiful Parroquia views. Best staff in town. It's everything you want a restaurant/bar to be and then some. Umaran 6. Because this is one of the most luxurious hotels in the city, people often dismiss this restaurant/bar as being too pricey. Think again. Delicious Cochinita Pibil Tacos and Martinis for $7 on Tuesday night. 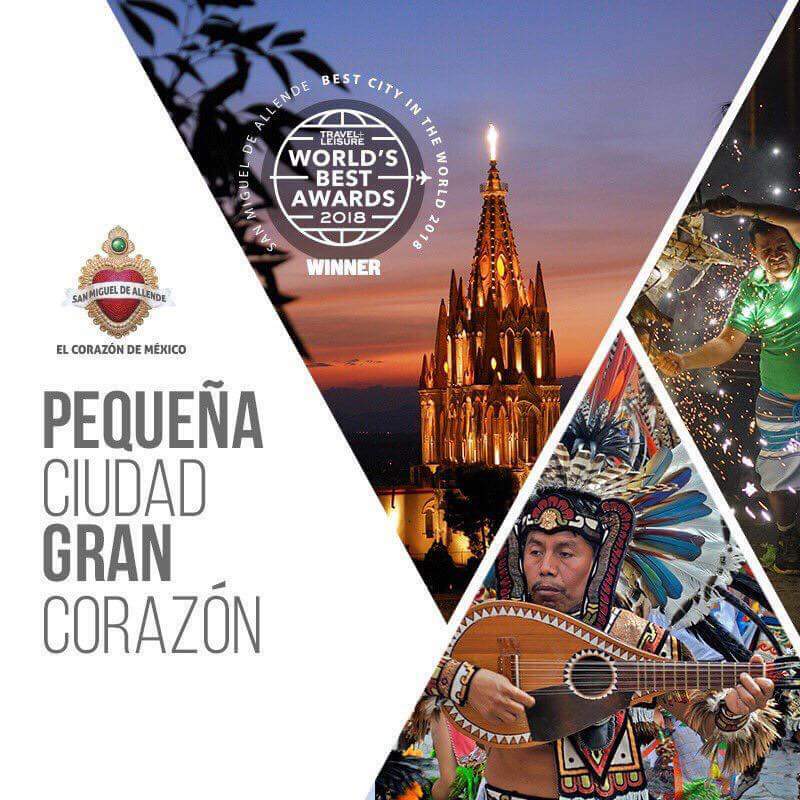 No matter what you spend, totally worth the 360-degree view of San Miguel’s most beloved landmark, the Parroquia. At Nemesio Diez 11. 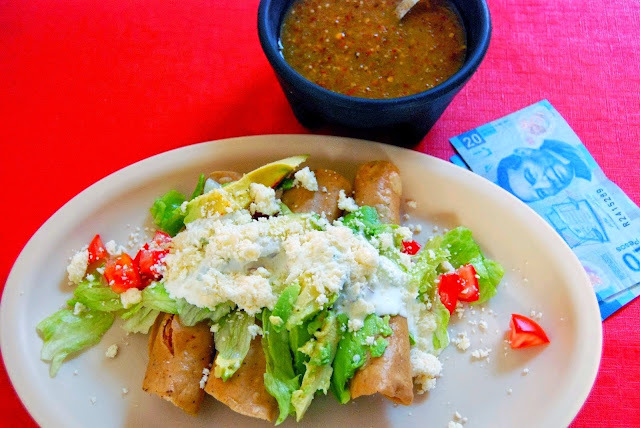 At SMA's favorite cheap eat, these rolled tacos are overstuffed with chicken and topped with so many healthy vegetables you'll forget they were ever fried in a pan of oil to begin with. Bring a hearty appetite and leave your Spanish dictionary at home. Alex cooked for many years in Chicago and speaks textbook English. The bonus? You'll leave with a full stomach and a pocketful of change. The next best thing to your mother's pot roast, Mixiotes is a traditional, pit-barbecued meat dish made of lamb that is cut with the bone and seasoned with pasilla, guajillo and spices like cumin, thyme, marjoram, bay leaves, cloves and garlic. It's then wrapped in small bundles and cooked in the ground overnight. At this thatched-roof palapa at the end of Canal Street, Pilar and Jose Luis will convince you there is no better dish anywhere in Mexico. If it weren't for the location, this spot would have a line around the block every day. Take a doggy bag because it's even better the next day. Every evening at 7PM, there’s a long line at Andy's Taco in Centro. The mere aroma attracts aficionados who jockey for one of the few seats and a small plate of savory Tacos Al Pastor. The pork is marinated in dried chiles, spices and pineapple and is slow-cooked on a vertical rotisserie then covered with a spicy, red chipotle salsa. Andy's is a favorite of partygoers looking for an after-hours feast and still intoxicated by the magic of the fiesta. Hidalgo and Insurgentes. Carnitas should come with a warning label. 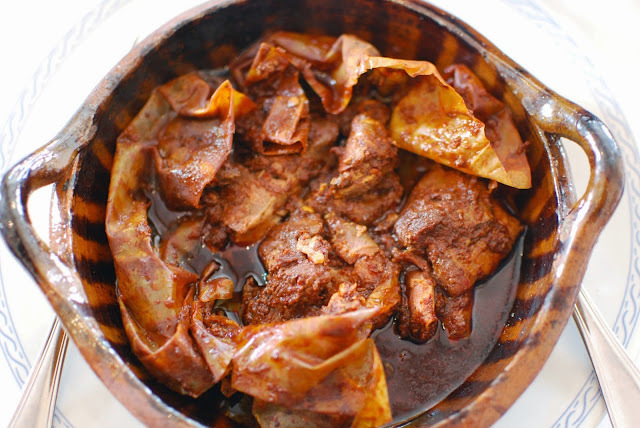 What makes these porky bits so addictive is that they are simmered in lard until fork tender. Bautista Brothers have pop-up stands all over San Miguel including several at Tianguis de Martes. In a torta or a tortilla, this dish is certain to make your list of all-time favorites. Fights will erupt over a communal plate so get your own. This is Barbacoa at its very best; lamb wrapped in maguey leaves and cooked in the ground overnight. It's on the breakfast menu and this stand is an early morning favorite at San Miguel's Tianguis de Martes. Grab a half cup of caldo and an extra helping of Barbacoa, then load up with chopped cilantro, onions and a squeeze of lime. You wouldn't crave another thing all day. 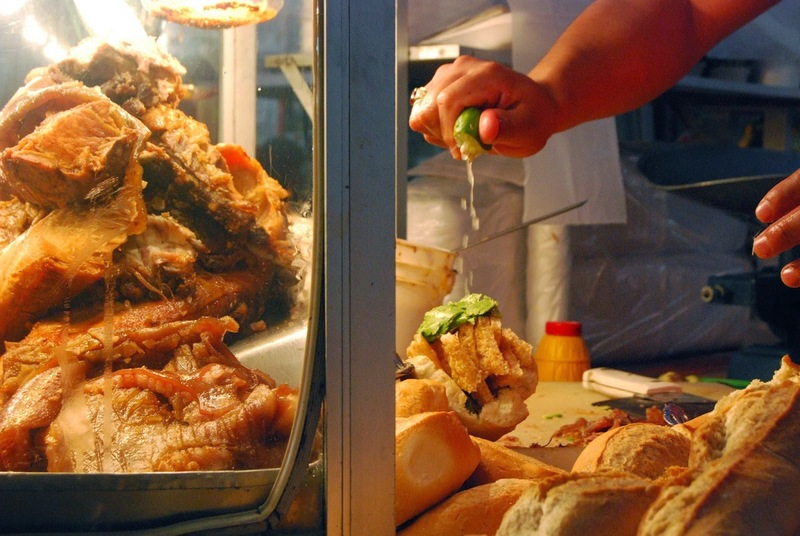 One of the many reasons that people go to Puebla, in the eastern region of Mexico, is to eat. The quality of food, from the market stalls to the finest tables in the city, is unparalleled. Stay for a month and I guarantee you’ll still have too many places to explore. I’m back there later this summer for another look. Cemita@Cemitas Las Polentas in Mercado del Carmen. In fact, this is one of my favorite dishes in all of Mexico. I’ve had it at many other places in Puebla but none of them compared to Cemitas Las Polentas. You’ve got to see the operation just to appreciate how much labor and love goes into this sandwich. It’s gigantic but somehow I managed to eat the whole thing. I know, there are a lot of great places to go in Puebla like Meson Sacristia de la Compania which has a higher rating than Restaurant Purificadora and we thought it was good but I happened to have an almost perfect meal at Restaurant Purificador which showcases Puebla’s food traditions as interpreted by noted chef, Enrique Olvera from Mexico City’s famous Pujol restaurant. Molotes are made by street vendors in the alley across from the Jardín del Carmen and are a quick and easy breakfast. 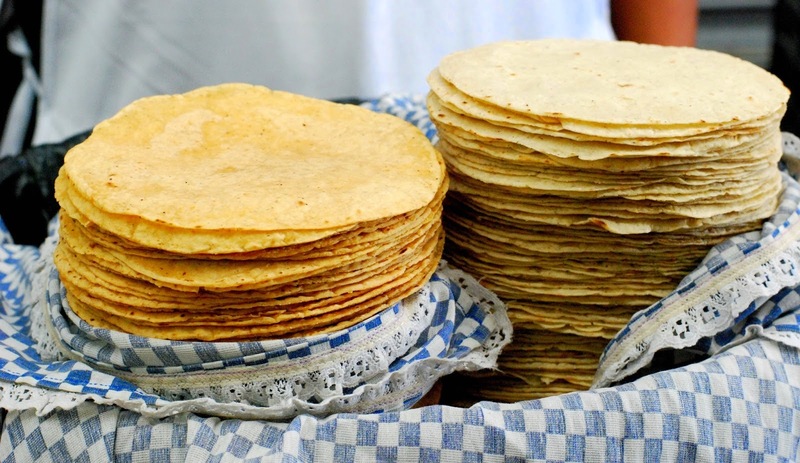 Taco Aribe, invented by Puebla's Lebanese immigrants, are rich tacos served on a thick flour tortilla much like a pita. 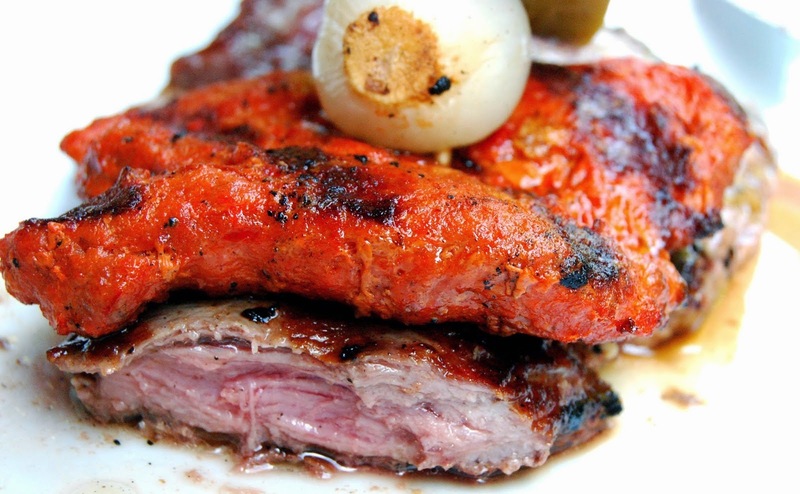 The meat is marinated in a blend of garlic, spices, serrano and other chilies. It is then rotisserie-cooked until the aromatics almost melt into the meat. It’s carved off a vertical rotisserie and topped with a salsa of puréed chipotle peppers, an everyday Poblano ingredient. 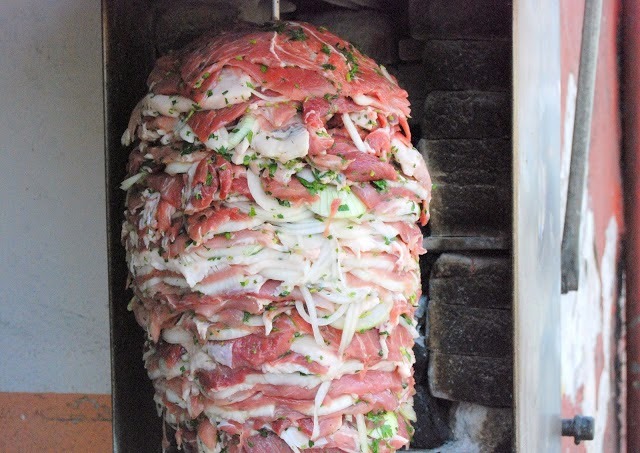 Purists claim that real Tacos Arabe is made by layering pork loin and onions on a spit and then slowly roasting everything over very hot coals. 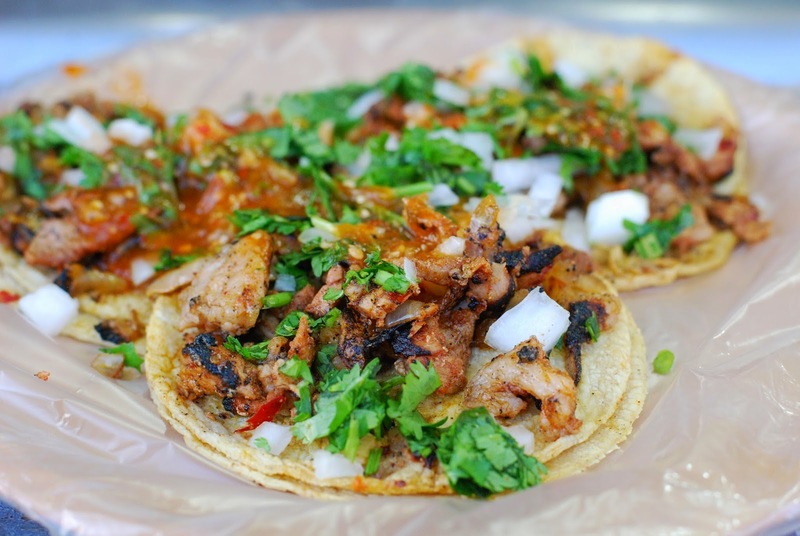 Some of the best Tacos Arabe can be found at the markets or on just about every back street in Puebla. 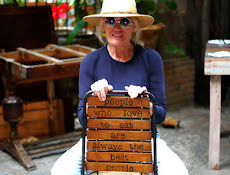 Located about 15 minutes from Puebla on on Avenida Hidalgo, which is the main street in Cholula's Centro Historico, is one of my favorite markets in Mexico for genuine food experiences. I saw everything at this market including a guy who hauled a pig across his back the entire length of the market. 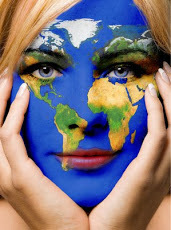 Fascinating and lovably local. Western Mexico includes the beautiful city of Guadalajara, Mexico’s second largest city. Guadalajara is known for one of the most recognizable Mexican things in Mexico...TEQUILA. 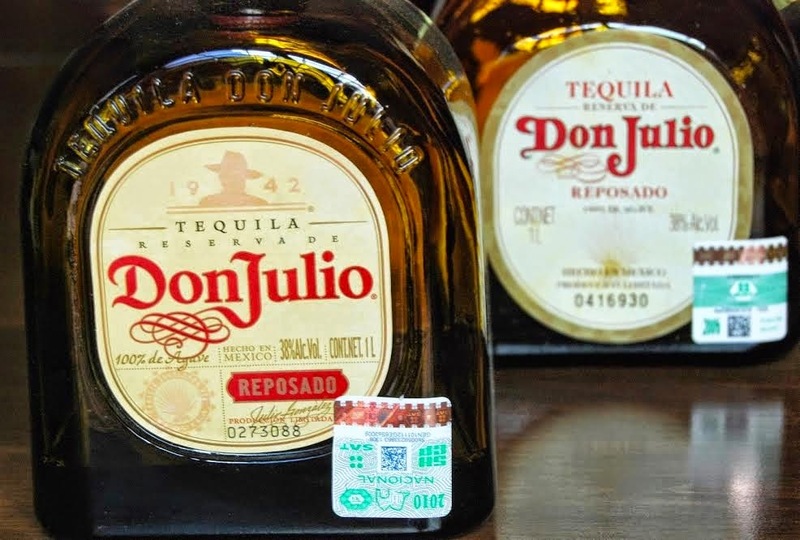 Needless to say, Tequila is the first thing I discovered in Mexico back when I was 17…and it was definitely not Don Julio. Rich, smoky and really outstanding, Cocina 88 is in an old, turn of the century mansion at Vallerta 1342, Colonia Americana in Guadalajara. La Tequila is rated #1 of 582 restaurants on Trip Advisor and has an extensive selection of both tequilas and cuisine. The service is excellent. Since there were no gusanos in the kitchen that day (usually tossed in garlic, onions and a little tequila), we ordered a plate of grasshopper tacos. Surprisingly, they were delicious. They are fed apples and roasted in lime chili and salt. The end product is a nutty, crispy, salty and spicy delicacy. It might change your mind about eating bugs. We also loved the sopes with bone marrow, pork and chicharrón. La Tequila is located on Avenida Mexico 2830 in Colonia Ladron de Guevar. You don’t have to look too hard. 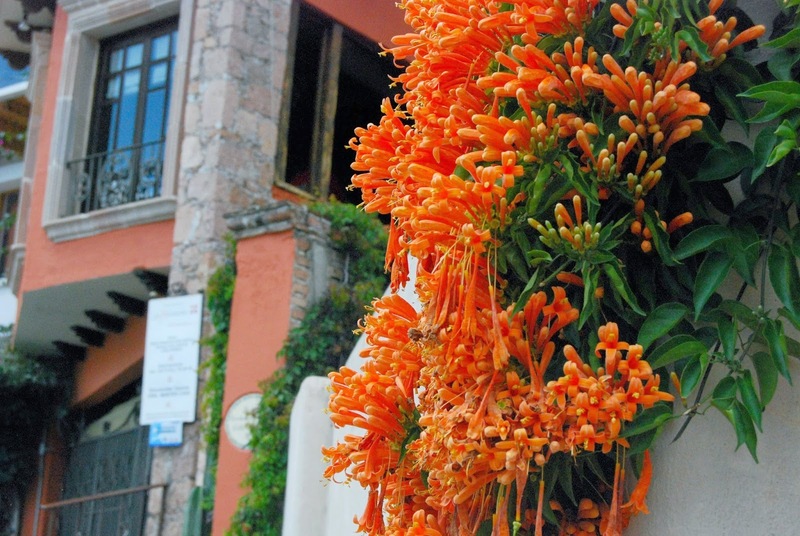 It’s on just about every street corner and in the neighboring towns of both Tonola and Tlaquepaque. Make sure you go to both. 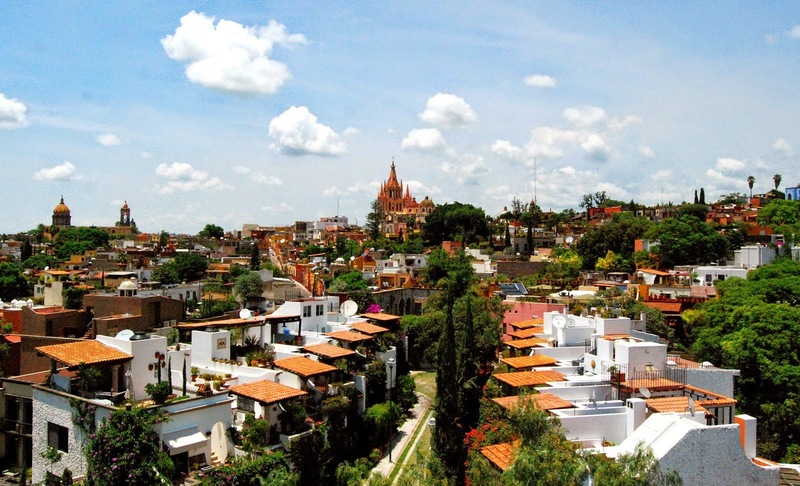 Tlaquepaque is a beautiful town known for its charm and shopping. 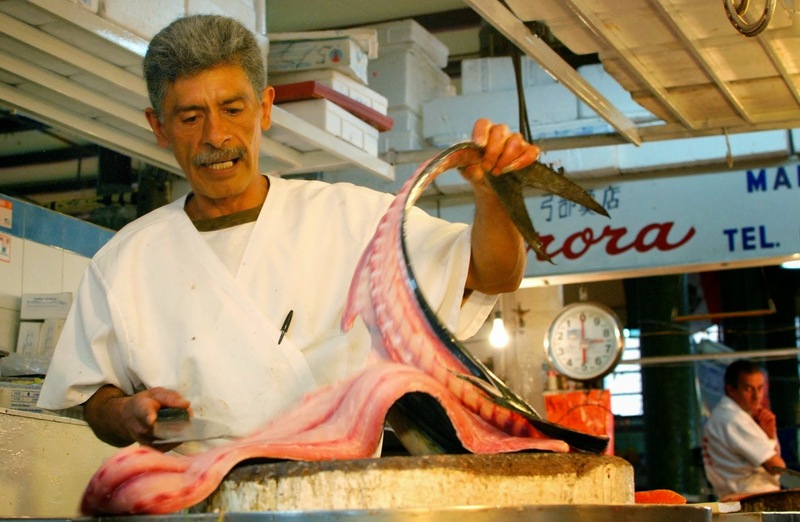 Tonala is recognized for its famous Thursday/Sunday market. 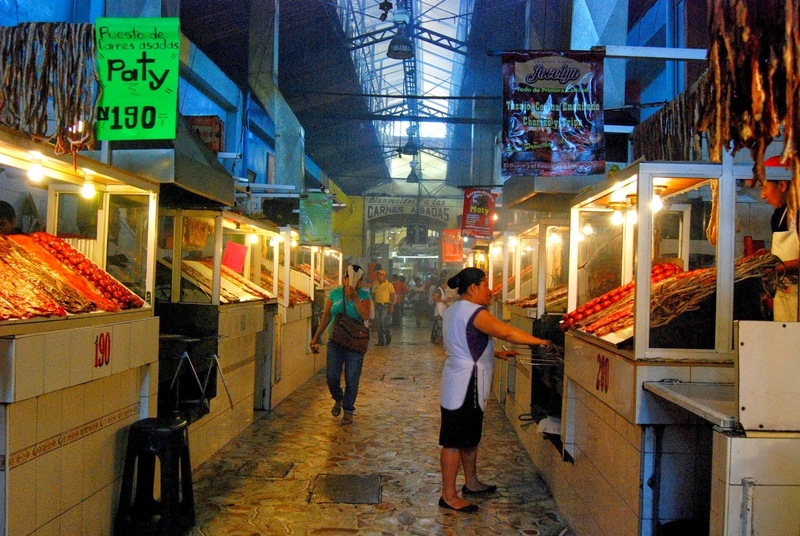 In the city: Mercado Libertad, one of the largest covered markets in Mexico at Javier Mina Y Calzada Independencia. Food stalls are all on the second floor. In the surrounding area: Tonola. This is the first market I went to in Mexico. It hasn’t changed much in the past 40 years except it’s gotten a lot bigger… and they sell music. There are still some of the same vendors here as there were 40 years ago. Savor the Mexico Moments at this market as there will be too many to count them. 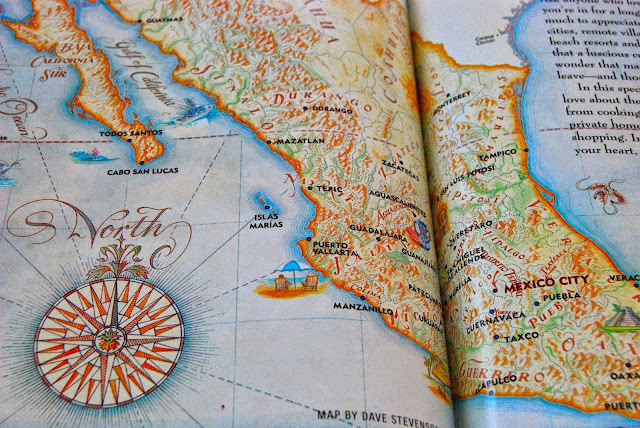 Southwestern Mexico includes my favorite food city, Oaxaca. I fell undeniably in love with Oaxaca’s rich, complicated dishes that are layered with flavors and deep rooted in traditions…like black mole. From chocolate, grasshoppers, mezcal, grilled meats and more classes of chili peppers and moles than you can hope to remember, Oaxaca is a food culture all its own. It took just one plate of dark, rich, and wonderfully sweet and spicy black mole to convince me this was it. Black mole with organic turkey confit accompanied by refried beans, rice and plantain sliced. Beef filet with smoked chili, plums and Mezcal sauce and mashed potatoes. The grilled meat section in Oaxaca’s 20 de Noviembre market is dark and smoky but the food is delicious. It's a meat lover’s paradise. That would be me. I Use To Be Afraid Of Bugs; Now I Eat Them! 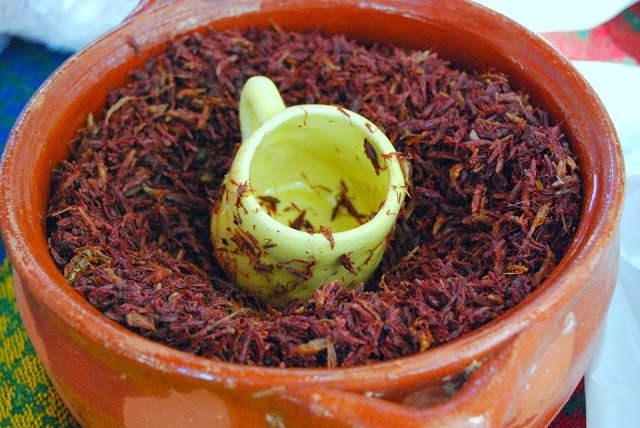 Gusanos (maguey worms), Jumiles (stink bugs), Chicatanas (giant winged ants), Escamoles (ant larvae) oftentimes referred to as insect caviar, Ahuatle (water-fly eggs), Cuchamás (green caterpillars), Chapulines (grasshoppers), Alacránes (scorpions), Libélulas (dragonflies), and Escarabajos (beetles). I haven't tried an insect I didn't like. 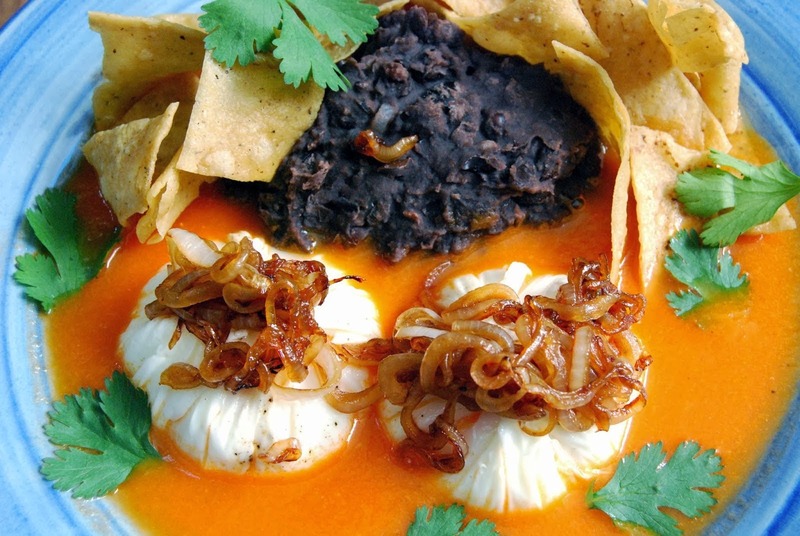 The culinary climate in Oaxaca is the most exciting in Mexico and attracts both chefs and foodies alike. The markets are a good start for understanding just why that is. Did I tell you that the 20th of November is my birthday so no wonder I had such a connection to this market. It's the culinary heart of Oaxaca. It's mainly food and produce which includes my favorite section: Carnes Asadas. It's located indoors on the east side of the market. Meat stalls line both sides of a very wide aisle. You can barely see through the smoke except when sunlight streams in through the ceiling. It's mystical. BBQ chefs are competing to sell you meats and sausages while their assistants, with small woven fans, struggle to keep the flames under control while they cook. Once you've selected your meat and vegetables, you are led to a table where you are offered accompaniments like fresh-made tortillas, salsas and guacamole. 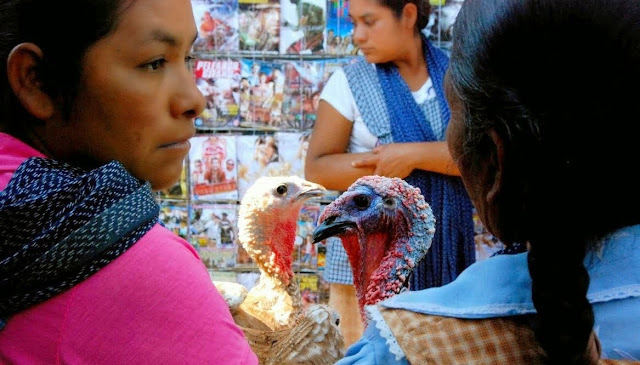 San Pablo Etla on Wednesday, Ocotlan on Friday and Sunday in Tlacolula; you haven't seen real life in Mexico until you've gone out to one of the small towns where indigenous people from villages all over the central valleys of Oaxaca come for market day. 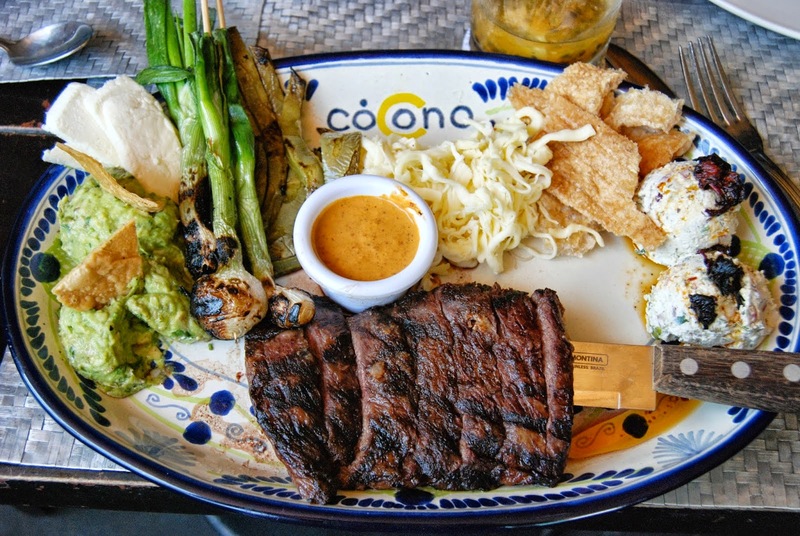 It’s the best culinary experience you’ll have in Mexico. Grab a collectivo for the experience.